Neftianka had the chance to interview Cederic Cremers, Executive Vice President and Country Chair Russia at Shell. 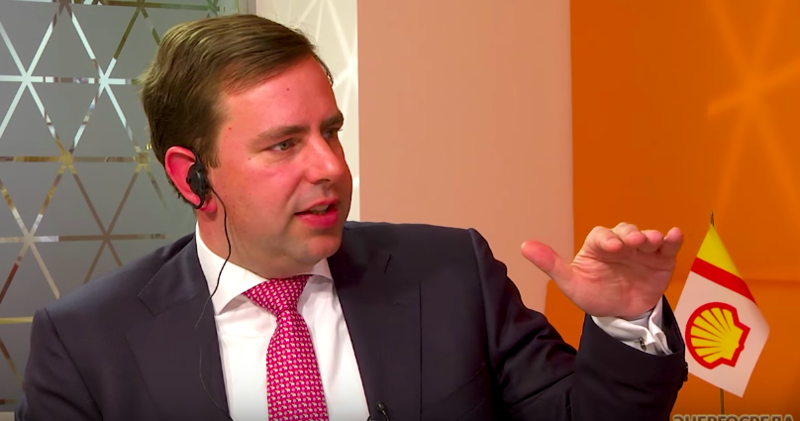 Neftianka correspondents Sergey Nikitin and Maria Kutuzova spoke with Mr. Cremers on topics ranging from the company’s bullish outlook on LNG, downstream expansion in Russia, and Shell’s investment in the Nord Stream-2 pipeline project. Below is the transcript of the interview, which was originally published in Russian. Neftianka: Mr. Cremers, Russia’s economic situation is far from great now. There are internal problems, existing sanctions, and new sanctions yet to come. Does any of this have any impact on Shell’s strategy in Russia or are you following the course that was set previously? Cederic Cremers: Shell has been active in Russia for over 125 years. There have been great times for the industry, and there have been difficult times, but we have found a way to make our business successful during all those years. And we are still here today, and I see very important opportunities for us to continue to grow in Russia. If I think about what we look for as we grow, I think it’s about the combination of the right scale, the right type of projects and the right partners… And then we look for the right synergies, where Shell brings something that works in good combination with local companies, local contractors and our local strategic partners to create the right value and the right projects. I see many of those opportunities, particularly in our downstream business, in both retail and lubricants, but also in our LNG business: expanding our presence in Sakhalin and working on Baltic LNG together with Gazprom. This fits in terms of right scale, right partners and right synergy. You also asked about sanctions. There are certainly key areas that are clearly off limits to us right now, the Arctic offshore and shale oil being examples of that. In 2014 we had to stop our activities in those areas. At the same time, our downstream business is much less impacted by sanctions. 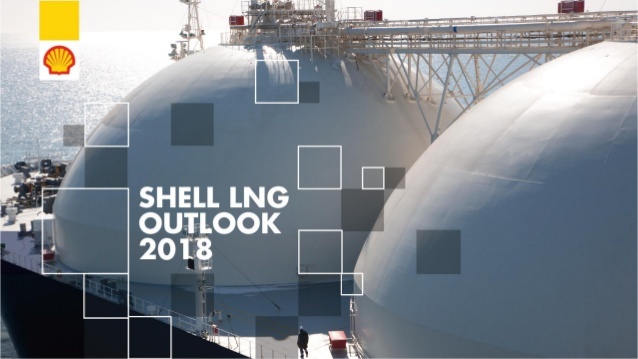 You recently published Shell’s second outlook on the LNG market. How does the company see this market growing between now and 2030? What investments will be necessary? Please, tell us in more detail. In 2017 the demand for LNG was just about 300 million tonnes per annum (mpta); if you think about it in terms of scale, it powers more than half a billion homes worldwide. And if you then look at the 2017 demand growth, it was almost 10% of that number, 29 mpta. Quite a bit more than what was expected even one or two years ago. Many market players were talking about the expected oversupply. A lot of supply came onto the market from the new projects in Australia, the USA and Africa. But the real story of the last two years has been the fact that the demand has caught up and fully absorbed all that additional supply. First, the number of countries that are importing LNG today has grown significantly if you compare it to the year 2000. There were only about 10 countries importing LNG, and there’s more like 40 today. Second, there are more areas where LNG is being used right now, such as LNG for transport. Another real story was China where there’s been a significant increase in demand for gas and LNG. That related to improvements on air quality that have been made in the last few years. There’s been a government-driven program to switch over from coal to gas across the industry. Not only in power generation, but also in the industries themselves, heavy industries, the heating and power to plants. This is long-term new demand. This is not switching back and forth between gas and coal in power plants, but really making new investments into boilers, etc. This has made a huge difference in China and we see that trend continuing. Based on our projections that the global gas demand will grow about 2% per annum, we expect LNG to grow even faster by about 4%. This is for the simple reason that the gas isn’t always in the ground where the demand is, and therefore LNG is a good way to transport and connect those demand and supply. If you then take that 4% per year demand growth into the next decade, we see supply is not projected to grow at that same rate. There are very few new projects that have been sanctioned anywhere in the world in the last two years and therefore as you get to about 2024 there will be a shortage in the market and there will be new projects needed to be sanctioned in the years ahead. Personally, I feel this provides a great opportunity for Russia and for the LNG market in Russia in terms of starting up new supply projects that will fill that demand. Mr. Cremers, let us talk about the glory days experienced — and yet to be experienced — by the Russian LNG. First was the commissioning of the LNG plant at Sakhalin-2, the second one was the recent commissioning of Novatek LNG, and now we are waiting for you to tell us about the coming halcyon days, about the future of your LNG projects in Russia. The Ministry of Energy in Russia has outlined a plan of the total LNG market being about 70 mpta in Russia by somewhere in the 2020s. And even then, if we continue to see the market growth, Russia would still only be 14% of the global LNG market, which is only a fraction compared to Russia’s share of global gas resources. If you look at Sakhalin LNG plant, the capacity is about 11 million tonnes per annum. One train on Yamal is online, if the next ones come online that would be about 15 million tonnes. Let’s say that we’re going to somewhere between 20 to 30 MTPA when both those projects. There’s going to be a lot of new projects required from multiple players in the market to meet the goal of 70 million tonnes. At Shell, in partnership with Gazprom, we have two key projects that we’re focusing on. One is the third train in Sakhalin, adding another 50% to the capacity, i.e. a little bit more than 5 mpta. The other project is the one in the port of Ust-Luga, the Baltic LNG, with 10 mpta for just the first two trains and a possibility of expansion. We think these projects will be very competitive globally as new projects on the LNG market. I’m quite proud to say that just a few days ago, on February 28, Train 3 received the final approval of its project design from Glavgosexpertiza. The next step is on the commercial side, where we have to resolve the discussions around gas supply to the project. Once this is resolved we should be at a stage where we can take the final investment decision and move forward with the project. On the Baltic LNG side, in 2017 we agreed with Gazprom on the key terms of a joint venture and started a feasibility study which we’re now finalizing. We have landed on a very robust and strong technical concept. Cremers, let me ask you about Shell’s collaboration with Gazprom on another project, Nord Stream-2. How much has Shell already invested in this project, and how much do you plan to invest? And what are the principal political risks that you see for this project? The European energy market is in transition right now. There’s quite a large increase in renewable energies, and at the same time quite a shift away from coal. With these two counterbalancing forces, we expect that the demand for gas in Europe will stay roughly flat for the next 15 to 20 years. But the amount of gas produced within Europe, in places like the Netherlands, Germany and Norway, is reducing. With demand flat and production in Europe reducing, Europe will have to rely more on import of gas. I believe that will come from multiple sources, from a combination of more pipeline import and more LNG import. This is where Nord Stream-2 fits, and I think it’s an important project in ensuring energy security in Europe with a new alternative, modern, and more efficient source of gas pipeline import. You ask about political considerations, for us it’s very much a commercial project. We think it’s a good project that makes sense for Europe, that makes sense from an investment perspective. We are financing 10% of the project, the estimate is about 950 million euros. I can say that the project is well on track, it is progressing along schedule, which means that we’ve executed about one third of the project financing to date. I heard that Shell has some specific plans to use LNG as bunkering fuel. What is happening in this segment at the moment? What does Shell think about potential growth of the fleet that would use the bunkering fuel? LNG as a fuel for marine transport has huge potential. First in terms of making the market more cost-competitive, but also as a cleaner burning fuel for heavy land transport and heavy marine transport. It’s also strengthened by the recent IMO regulations to go to below half a percent of Sulphur emissions in marine fuel by 2020, and LNG as a marine fuel is effectively Sulphur-free. Shell supports this market by helping build the infrastructure required for bunkering, to ensure there’s enough LNG available to fuel marine transport and to really make it a sustainable and an effective industry. Can you tell us, please, about your collaboration with the Russian company Sovcomflot? We’ve had a strong relationship with Sovcomflot dating back to 2004 as a supplier of vessels for Sakhalin Energy. We went on a journey together and said, ‘let’s also look at tankers’, specifically Aframax crude tankers and see how can we make them more environmentally friendly. Sovcomflot has developed what they call their “green funnel”, six ships that will be fueled by LNG. Shell developed the capability to fuel these vessels with a new bunker vessel, the Cardissa, able to operate across Europe, which was put in place in 2017 in the port of Rotterdam. I’m quite proud to announced that just a few weeks ago we chartered two of those six vessels for our own use. This is an area where we’re intensely working together with Sovcomflot to make the marine industry greener. Is Shell satisfied with the way its joint project with Gazpromneft using ASP flooding at Salym fields is going? What’s in the project’s future? One of the areas of our cooperation is ASP flooding, a chemical-based recovery method used in other places around the world before, like the USA, Canada and China. It is a process that uses a combination of alkali polymers and surfactants to achieve enhanced oil recovery. We sanctioned a pilot project back in 2012 that has now been completed. It produced about 3000 tons of oil and now the company is finalizing its analysis, so that then we can make choices about larger scale economic development. Our belief is that that it will require different fiscal incentives and tax treatment to make it economic on large scale. Mr. Cremers, I also want to talk about the retail business. Our independent producers claim that their gas stations are on the verge of closing. Our majors claim that they are basically selling at self-cost. Meanwhile, the number of Shell gas stations continues to grow. How would you comment? We see Russia as a very important market for our retail business, and it is one, where we have been steadily growing. About five years ago we had a hundred stations, in 2015 we already had 150, whereas just last year we opened our 250th station. It’s been on a rapid increase and that will continue going forward. Also, we were initially concentrated around St. Petersburg and the region, now we are much more spread out and present in many more regions. Regarding profitability, it is fair to say that today the margins are under pressure. But our retail business is profitable. Two things are critical: one is customer focus, really understanding the customer needs and servicing those; the second is operational excellence, running the retail stations at the right cost and right efficiency. With those together certainly there’s an opportunity to have a very profitable business in the retail space in Russia. Last year, we visited your refinery at Torzhok along with Gazpromneft’s delegation. I can tell you that our colleagues were very impressed by everything we saw — the way the plant functions, the way production safety is enforced, the way people are treated. What would you say about the state of the lubricants market in Russia? We are quite proud of our Torzhok refinery. We are the only international company that has its own lube blending plant in Russia. It was built to worldwide standards, it’s a state-of-the-art modern plant. I think it gives us a very strong position in the market. We are currently the largest international brand on the Russian market as far as lubricants are concerned. And we see a lot of opportunity, a lot of capacity in the plant also to grow further, in partnership with many of our distributors across the country, to increase our presence in different market segments and with different customer segments.